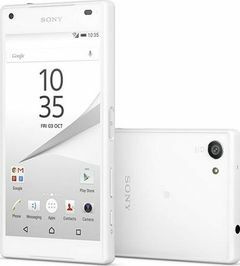 Sony Xperia Z5 Compact is currently not available in any stores. The Sony Xperia Z5 Compact has some big shoes to fill and a lot of expectations to live up to. Albeit a little aging now, the Z3 Compact is still a solid device, with a very select market of its own and a group of fans eager for a follow-up to their beloved small, yet powerful handset. The Sony Xperia Z5 Compact is quite the unusual handset. It promises flagship-worthy features in a tight, compact package, and there’s still plenty of folks looking for that kind of phone. At the same time, there are very few alternatives fitting that description – practically, we can’t think of a brand-name Android-powered alternative to Sony’s offering. Its camera takes great shots and it won't die when you get it wet. Its blocky design lacks the finesse of other flagship handsets.